Pink Seoul is a bi-monthly subscription service that guarantees at least four full sized K-Beauty items and an accessory item every two months. The Pink Seoul Box retails for $39.95 every two months and guarantees at least four full size items plus and accessory with a value of at least $60. 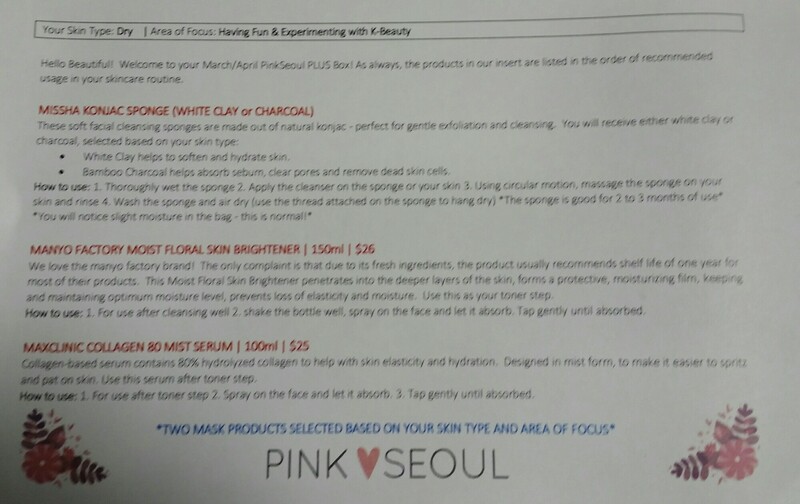 The Pink Seoul Plus Box is recommended for ages 35 and up. I am not 35, but I still chose to get the Pink Seoul Plus Box. This box guarantees four full size product plus an accessory item with a retail value of at least $80. What is great about this subscription is it is tailored to your specific skin concerns. If you are like me, skincare is very important to me, and I would be purchasing these products anyway. This subscription offers the latest in K-Beauty skincare for an amazing price. Considering I would purchase these items anyway, I really am getting quite a discount. 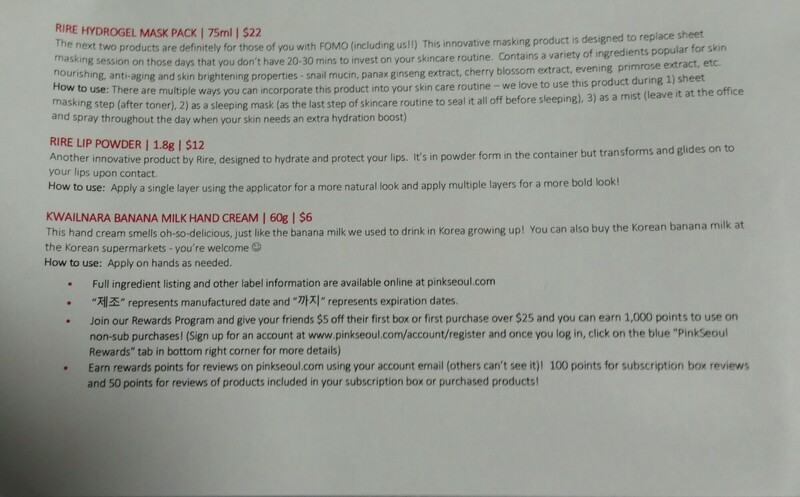 I also love the ingredients in these Korean skincare products!! 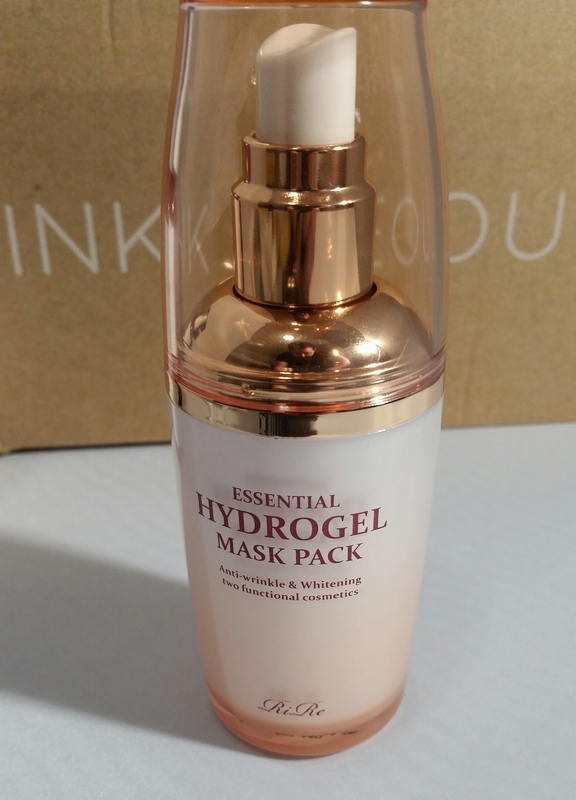 Rire Hydrogel Mask Pack Full Size Retail Value $22 for 75ml: This was a great find. I do use sheet masks and sometimes find myself short on time and skipping them a little more than I’d like to. My skin looks so much healthier and youthful when I maintain a good skincare routine. This product is amazing in that you use this in place of a sheet mask on those days you are pressed for time. It sprays on in a nice fine mist and that’s it, you’re done. The scent is very light. It absorbs quickly. It is very hydrating but leaves no sticky or greasy residue. It is quick, convenient and effective. When my skin is dehydrated, I can always notice my fine lines more. Everybody’s skin is different which is why this box will curate to your needs, but for my skin, I noticed an immediate difference in the feel and look of my skin. When I first started K-Beauty skincare it took a couple of weeks of consistency to notice a difference in my skin, but once my skin changed for the better, I notice right away if I don’t do my routine…. And when my skin is in need and I give it what it needs, I see results right away. I don’t know if this is a miracle worker for wrinkles and brightening, but I know my skin appeared and felt much better and I look forward to using the entire bottle. This product has anti-aging and brightening properties and contains the ingredients snail mucin, panax ginseng extract, cherry blossom extract, evening primrose extract etc. This can be used in place of a sheet mask, or even mid day as a pick me up spritz for your skin. I have used it over makeup mid-day without it disturbing my makeup and it felt moisturizing and refreshing. 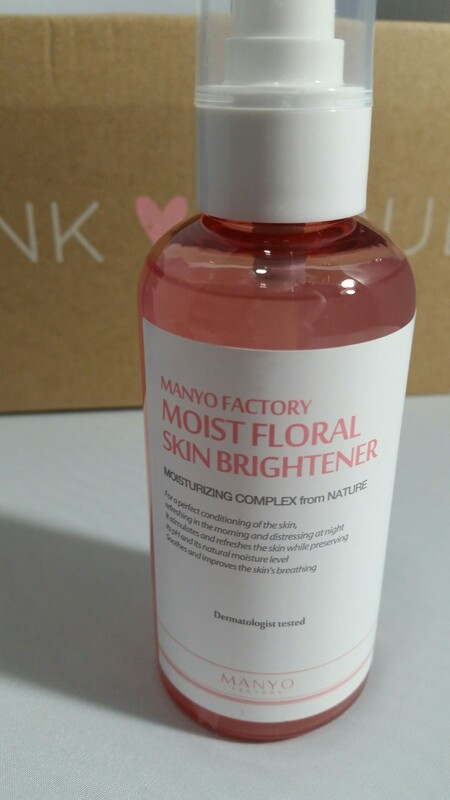 Manyo Factory Moist Floral Skin Brightener Full Size Retail Value $26 for 150ml: Another great find and another easy to use convenient product with great benefits for your skin. This skin brightener is said to penetrate into the deeper layers of the skin and form a protective moisturizing film, keeping and maintaining optimum moisture levels preventing loss of elasticity and moisture. This is used as a toner after cleansing. It comes with a pump. As with any toner I put it on a cotton round and applied it to my face. It is very lightly scented, moisturizing, fast absorbing with no sticky or greasy residue. This toner felt great on the skin. Another product I look forward to using until it’s gone. Maxclinic Collagen 80 Mist Serum Full Size Retail Value $25 for 100ml: Love that this serum is once again quick and easy. A serum that you can spritz on!!! Yes please. 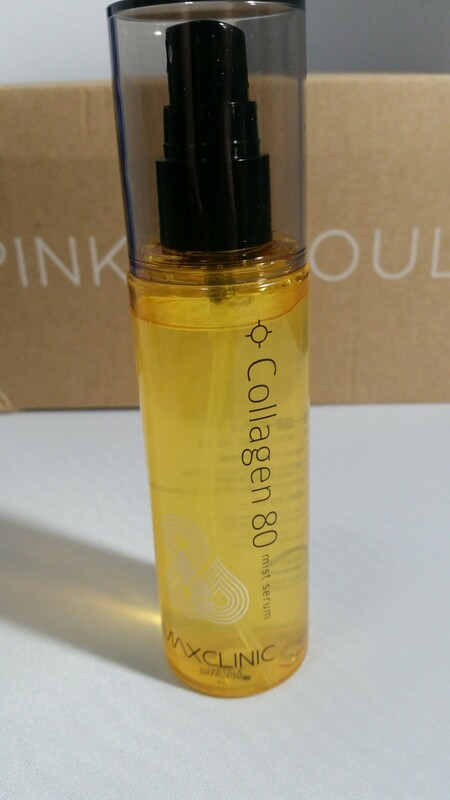 This product has 80% hydrolyzed collagen to help with skin elasticity and moisture (see a theme here). Great serum, feels hydrating. It also absorbs quickly leaving no residue. What I love about this product is falling in love with it won’t break my bank. This product feels just as good, if not better than some high end serums I have used. It also has better ingredients than some high end serums I have used and at a fraction of the cost. 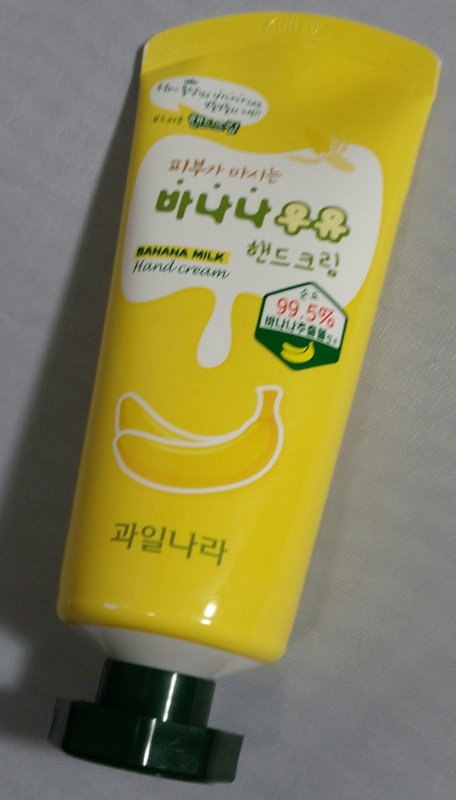 Kwailna Banana Milk Hand Cream Full Size $6 for 60g: This hand cream was pretty great! It smells like a banana candy would. It was very moisturizing and left no greasy residue. I love the size and how convenient it is to throw into your purse. Cute packaging as well. 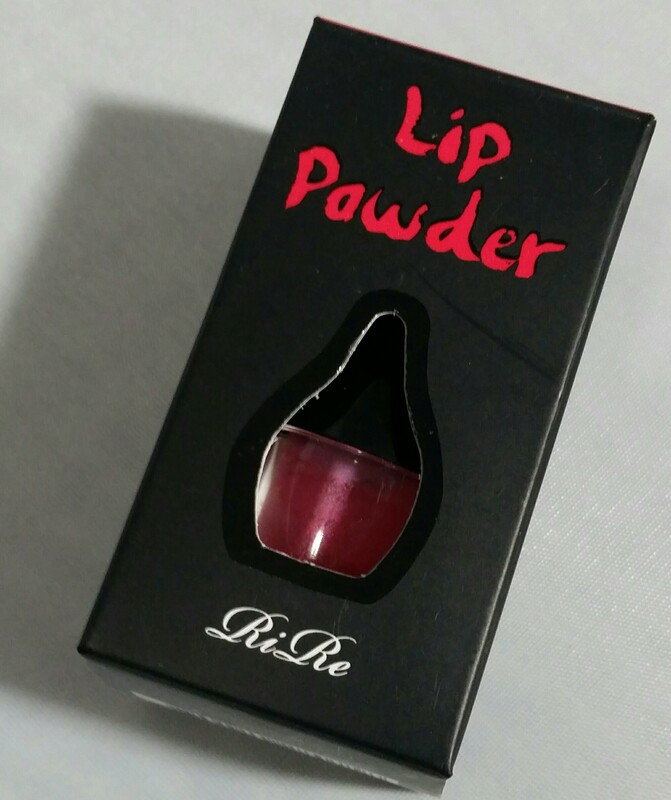 Rire Lip Powder Full Size $12 for 1.8g: This product seems a little childish. The packaging is cute, the applicator handle is a little too large for application, but the applicator itself is fine. This is a powder product that transforms to liquid upon contact with your lips. It is designed to hydrate and protect your lips. I really did not want to like this product, however, it did apply nicely (aside from the awkwardness of the handle) and it gave my lips a very natural pink tone. It was comfortable to wear, dried like a stain, was long wearing, looked pretty and felt moisturizing. How do I like this product lol! But, I kinda do. I am not sure that I would repurchase, but it is a very fun product to try. Its different and I will probably finish this too!! I think it will look really pretty in the warmer weather for a no makeup, makeup day. 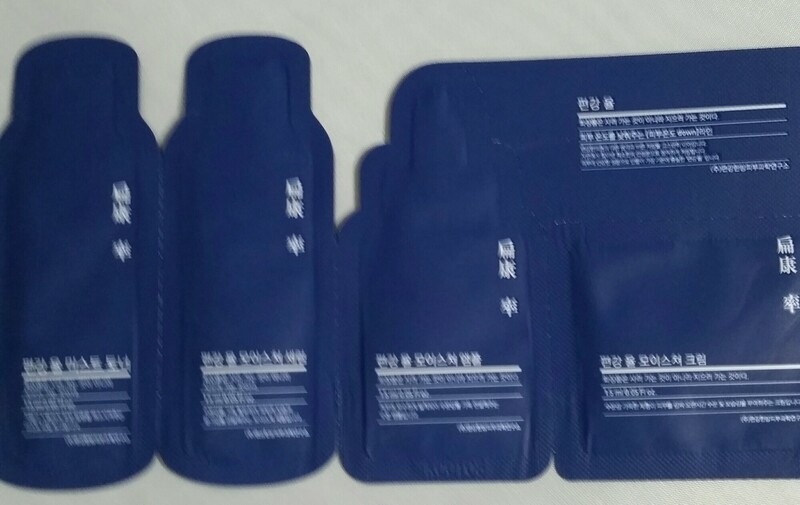 Sheet Masks Full Size Retail Value: Could not find the price but I’m sure the value is around five dollars. 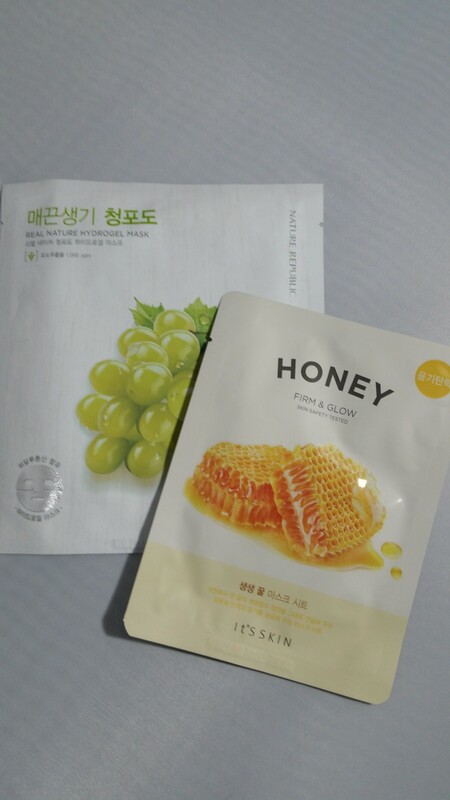 Love getting sheet masks and trying different brands. Look forward to testing these out. 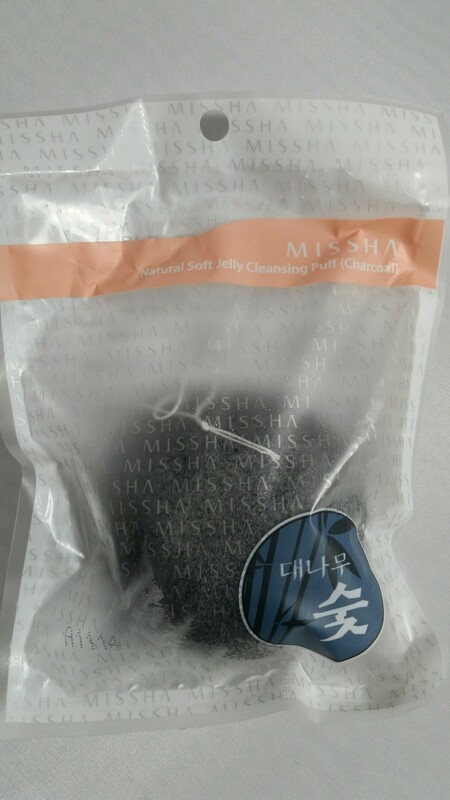 Missha Konjac Sponge Charcoal Full Size Retail Value $5: Great sponge for gentle exfoliation. The charcoal also helps with removing dead skin cells which is perfect for my dry skin. This sponge is unbelievably soft. You can use it with a cleanser of your choice and it is good for 2 to 3 months. I love kojnac sponges and was happy to receive a new one. The price is better than most and the quality is just a good, if not better. A sample that was included. The information on this sample was not included, and the directions are all in another language. Kinda stinks I have no idea what this is, but I’m sure once I open it I can figure it out. Overall: The value of this box was a little over $100 and I paid $44.95 with a five dollar off my first box. Even at the $49.95 I received a great amount of product for the price, and the product contains excellent ingredients and feels luxurious. I did not think I was going to like this subscription. While I was tracking delivery I was thinking about canceling because of the cost….. Now that it has arrived, I am so glad I didn’t. These are products that I would purchase anyway. These products are a great price and are high quality with really great, natural ingredients!!! They feel way better than many high end products I have purchased, and I have tried so many….. These really have felt the best. I am very happy with my purchase. I will not be canceling my subscription and I can’t wait to see what comes two months from now. In the meantime, I am going to use these products in place of what I had and I will give an update when I have finished them. To sign up for Pink Seoul Box, or Pink Seoul Plus click here. Previous Previous post: Too Faced Sweet Peach Eyeshadow Palette Quick Review is it Worth the Hype?